Phill Jupitus’ return to Edinburgh in 2011 appeared welcome by just about everyone – including us. This year, he returns to The Stand with a more theatrical approach; don’t expect to see a quiz captain, lover of music, or radio presenter. Do, however, anticipate a deceased actor, a U Boat commander and a holograph of Jupitus from the future. More on that later. You’re Probably Wondering Why I Asked You Here, his 2012 offering, shows just how good Jupitus can be as a comedy actor, with three sketches that will leave you hanging on the edge of your seat. Beginning the show, Jupitus enters the room in a tweed suit, dressed as ‘a deceased actor.’ Such is the subtlety to the writing, there appears be no script, as he opens up the floor for a questions and answers session with the audience. And that’s almost the beauty to the show; it’s an opportunity to see Jupitus laid-bare, with only his wit and comedic come backs to save him. He’s everyone and no-one, all at once. Jupitus’ laughter is infectious and his stories magnificent. It’s easy to get wrapped up in the characters’ various lifestyles and let the giggles pursue. Take his closing sketch, for example: Jupitus ends You’re Probably Wondering Why I Asked You Here projecting a holograph of himself – SPOILER ALERT – after he dies in 2052. He answers some pretty vital questions about the future – sorry Edinburgh, those trams won’t be finished anytime soon! 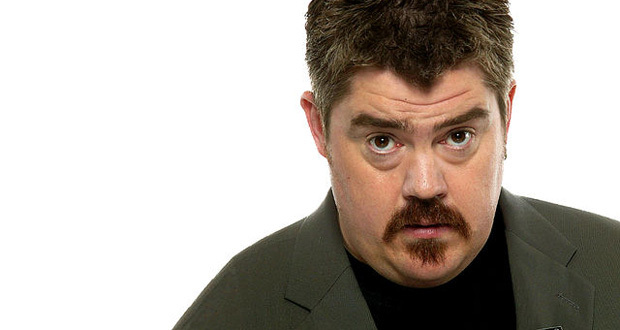 – while the real Phil Jupitus – comedian, actor, entertainer – prevails over his other two characters. You’re Probably Wondering Why I Asked You Here is a decent enough offering from Jupitus, and certainly a healthy follow-up to last year’s solo effort. If you get a chance to see the show on tour, take it. Date of live review: Monday 21st August 2012.